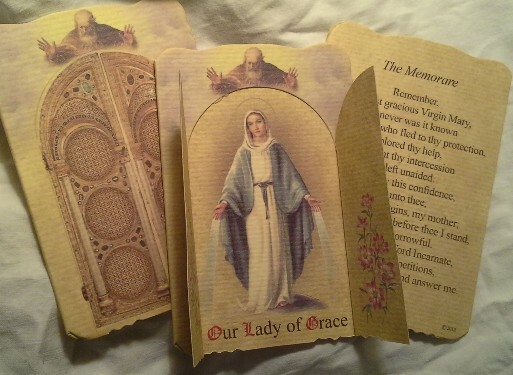 Opens to a lovely picture of Our Lady of Grace. The Memorare prayer is on the back. Printed in Italy.